AGR Electrical are highly skilled and trusted electricians based in Warrington offering quality domestic and commercial services across the North West. 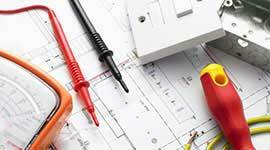 Warrington’s trusted local electrician, qualified in all aspects of electrical work. 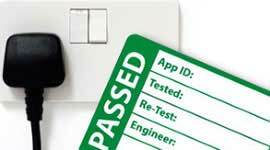 AGR Electrical are there for you when you need a trusted, NICEIC approved electrician. Warrington based, we’ve been serving customers in the Cheshire, Merseyside and Manchester area for over 20 years. 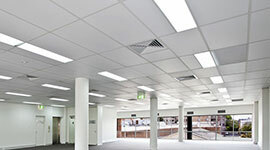 We provide a full range of domestic electrical services and we are also a highly experienced commercial electrician. As well as being NICEIC approved, our electricians are fully qualified so you can be sure that we operate in a safe and trustworthy manner at all times. In addition to standard electrical installations and maintenance work, we also undertake a broad range of associated services such as PAT Testing, electrical inspections, CCTV installation and security alarm systems. Over the years that we have been in operation, we have established an enviable reputation for our expertise, quality of workmanship and our efficient and friendly service. Not forgetting our very competitive pricing of course. Furthermore, all of our electrical work is covered by our comprehensive 2 year guarantee. As a result, we firmly believe that we are one of the region’s most trusted electricians. But perhaps more to the point, so do our customers. So, if you’re looking for a reliable electrician in the Warrington area, contact AGR Electrical today. In the Warrington area? Need an emergency electrician? AGR Electrical is available 24/7 for those electrical emergencies, when you need the services of a skilled electrician fast. Call us now on 07852 300106 or take a look at our Emergency Electrician page for full details. Our electrical services at a glance. We are a one-stop-shop for scheduled or ad-hoc electrical maintenance in the Warrington area. Since we have over 20 years’ experience of electrical installations in new builds, we are the experts to call on. 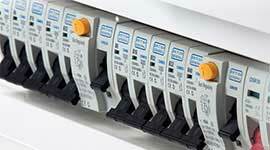 AGR Electrical offers very competitive rates for all house rewires. Call us for your free written, no obligation quote. Covering the full range of home electrical services from socket and lighting installation through to full rewires. Warrington’s leading commercial electrician for single-phase and three-phase installations. 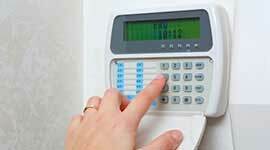 As well as intruder alarms and fire & smoke alarms, we also cover door access, intercom systems and emergency lighting. Not enough sockets? In the wrong place? New extension? 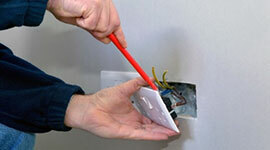 AGR Electrical can install new sockets wherever you need them. 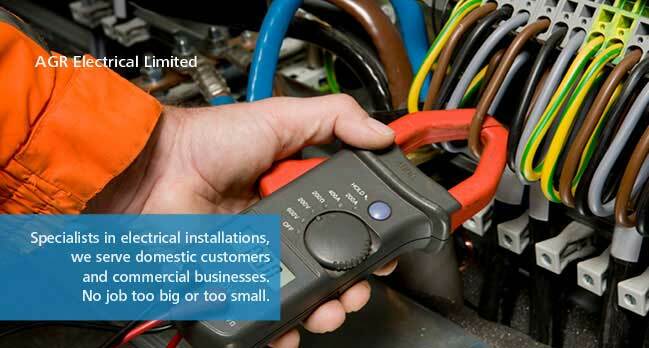 Since we are fully qualified to carry out PAT testing, we can provide a tailored service to suit your needs. Looking for a first-rate electrician? Warrington area? Contact AGR Electrical. And don’t forget, we’re available 24/7 for emergencies. Call us now on 0800 233 5386 or 07852 300106. 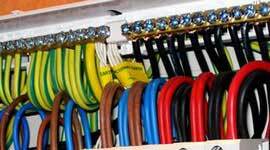 All our employees are highly skilled City and Guilds Qualified Electricians. We are a NICEIC Approved Contractor and registered with the NICEIC Domestic Installer Scheme. All of our work is covered by a comprehensive 2 year guarantee for your peace of mind. We’re your local emergency electrician. Warrington area only. Call us 24/7 on 07852 300106. Quite simply, we offer a high quality and reliable local service at affordable rates. Our reputation for providing a fast and dependable service is second to none and, if it’s peace of mind you’re after, then look no further. Our electricians are all experienced and fully qualified and will always work to the highest standards of workmanship and safety. These are the foundations on which we have built our business and our reputation and we aim to keep it that way. Furthermore, as an added bonus, we provide a 2 year guarantee with all of our work. For your safety and peace of mind, we make sure that our electricians are registered with important industry standards organisations. This further ensures that we will carry out electrical work in a safe manner and that we will operate to stringent industry standards and practice. It also demonstrates that we are skilled across all electrical disciplines and that our knowledge is up to date and relevant. After all, you wouldn’t want an electrician whose knowledge is years out of date no matter how competent he or she may be otherwise. And remember, all of this applies no matter what type of electrical project you are planning. Typically, we offer electrical services across most of Cheshire, Merseyside and parts of Greater Manchester. As a rule of thumb, from our Warrington base, we cover a radius of 15 miles for domestic repairs and 25 miles for commercial and industrial call outs. However, if you fall outside of these areas, please still contact us as we have been known to venture further afield. We take great pride in our work and always strive for first class service. 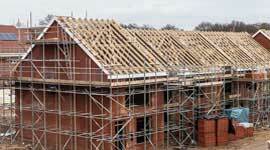 All of our work is covered by a comprehensive 2 year guarantee. AGR Electrical. Came out when no one else would and did a fantastic job for me at a low price. I would recommend them to anyone. AGR came out to put a new fuse box in for me and did a first class job. The work was finished in a week and they even cleaned all up after themselves – no tradesman has done that before. They are great at the job and give loads of information on saving energy. We called AGR at short notice to do a full installation for us on three phase which they completed on time and saved us loads of money. Their overheads were very low and they gave us 6 months’ maintenance free. AGR Electrical came to us from the yellow pages and did loads of work for us. They completed the work over a weekend as we have children in the week and cleaned the whole place after. I cannot say enough about how good they were and how pleased we are to have them do the job and I hope more in the future. AGR Electrical is a local independent family business and one of the most trusted electricians in Warrington. We are qualified in all aspects of electrical work. Copyright © 2019 AGR Electrical.